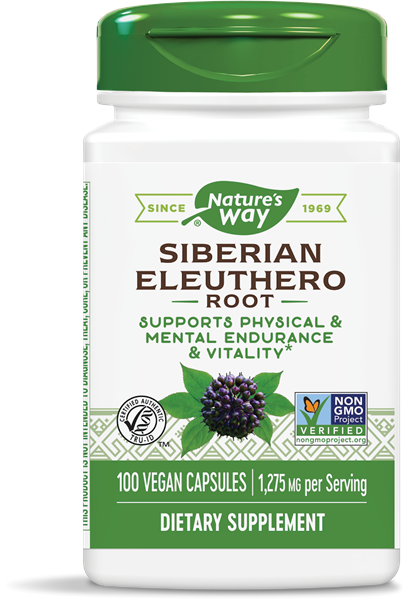 Eleuthero, Siberian / 100 Caps - Nature's Way®. Take 3 capsules daily, preferably with food. Some sources suggest Eleuthero should be taken continuously for 6-8 weeks, followed by a 1-2 week break before resuming use. If pregnant, nursing, taking any medications or have high blood pressure, consult a healthcare professional before use.